Truth and justice clash in The Guilty (Den skyldige), Gustav Möller’s claustrophobic thriller, where no-one can walk away with their innocence intact. “We tell ourselves stories in order to live. The princess is caged in the consulate. The man with the candy will lead the children to the sea.” Those lines come from the title essay in Joan Didion’s The White Album, essays and dispatches from a world on the brink of collapse. In a world like that, where everything is poised on the edge of oblivion, storytelling becomes important, not just as a kind of escapism, but as a tonic. Things are put into narratives so that they can be understood, or survived. The Guilty is about this kind of storytelling. This need to tell stories in order to make things a little easier to deal with. As well as this, the film is a technical marvel; living and dying on intricate sound design, The Guilty is a thriller that takes place over the phone, in two small rooms. Asger Holm (Jakob Cedegren) is having what could be described charitably as a bad day. He’s a police officer, answering emergency calls when he feels he should be out on the streets, knowing that tomorrow he’ll be in court for a trial that could have powerful long-term consequences on his life and career. There’s an element of the everyman action hero about him; he’s more John McClane than James Bond. Asger is, in simple terms, a good man trying to do the right thing. Or at least that’s what he tells himself. The Guilty lives and dies on Cedergren’s performance; he’s on screen almost uninterrupted for the duration of the film. Cedergren manages to do more than just carry the film on his shoulders; this is more than just a performance showcase. He dives deep into the uncertainty and self-denial that drives Asger, making him at once tragic and infuriating. Just as his shift is winding down, Asger receives a phone call from a kidnapped woman. The woman, Iben (Jessica Dinnage), talks to Asger as if he were her child, doing all that she can to avoid tipping off the person who has taken her. Iben is never seen, only heard. For better or worse her character is filtered entirely through Asger’s perception of her. In The Guilty, all roads lead back to Asger, and the most interesting, contradictory, and dangerous road is Iben. When the call disconnects, Asger tries to frantically to get back on the phone with this woman, his conversations darting between his boss, different precincts, and his old partner. He stays after his shift ends to try and find her, to try and help however he can. After all, Asger is just a good guy, trying to be the right thing. In the classic John McClane way, he’s an ordinary hero thrown into extraordinary circumstances. Or at least that’s what he tells himself. As the film goes on, and the mystery of the kidnapping unfolds, the things that Asger discovers about what’s going on around him force him to reconsider his actions, his choices, and the way that he views himself. In a moment of desperation near the film’s climax, he confesses something that completely changes the way in which he is perceived, revealing a different side of him to the selfless hero that he presents himself as for much of the film. We tell ourselves stories in order to live. The man on the other end of the phone will help us. People in positions of power will do the right thing. Justice will be done. Unfortunately, this isn’t always true, and sometimes these stories are only that: stories. And telling them makes things easier to bear. Stories are compelling, they can offer escapism, and are often easy to get lost in. Something akin to this happens in The Guilty; Asger is lost in the stories that he is told or telling, from the things that he will say in court, to what he hears on the other end of the phone. These stories help him live, but won’t always allow him to find a peaceful life. 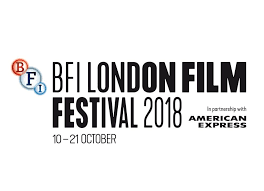 The Guilty screens at the BFI London Film Festival on 11, 12 and 19 October 2018.